By far one of the thorniest standing issues between the Israelis and Palestinians is that of the future status of Jerusalem. The Palestinians, both Christians and Muslims, venerate the city, and above all the Noble Sanctuary which is Temple Mount in its midst. Other than that, Jerusalem constitutes the biggest Palestinian concentration after Gaza City, and it used to be a prominent political, cultural and economic center before the Separation Barrier came up and marginalized the city. The official Palestinian stand – coinciding with a consensus on behalf of all countries in the world – is non-recognition of Israeli sovereignty over those parts of the city which came under her control following the 1967 Six Day War. The future status of the city plays a crucial part of any possible political deal with the Palestinians, but is also the staunchest stone of contention between them and the Israelis, most of who are disinclined to see any Israeli concessions over the city they deem so holy and vital to their very being. Jerusalem, for both belligerents, is the make or break of any possible political breakthrough – and as of now no concessions are openly contemplated, let alone discussed and debated. As a native Jerusalemite and a tour guide who finds most of his work to be carried out in East Jerusalem, the very idea of the city being re-divided into to two capital cities always filled me with dread. The possibility of having edge-cities straddling an uneasy border, such as was the case in pre-1967 Jerusalem or pre-1989 Berlin, I always saw as recipe for disaster. With this in mind I have recently made a third visit to Nicosia, the divided capital of neighbouring Cyprus. Any attempt at comparing Jerusalem and Nicosia is futile: both cities, and their corresponding geopolitics, differ on so many levels as to render any comparison quite irrelevant. 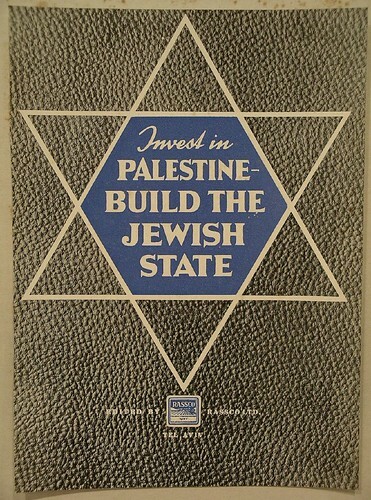 Yet in broad strokes, the resembling features are striking: Jerusalem's voluntary ethnic segregation began with the deepening of inter-communal hostilities in 1947, and was cemented by the first Arab-Israeli War and the Jordanian invasion and her occupation of the eastern parts of the city in 1948. Likewise, Nicosia's voluntary ethnic division started with the inter-communal violence which erupted in 1963; the actual division came about when Turkey invaded Cyprus and occupied a third of it (including the northern half of Nicosia) in 1974. Both cities are the capitals and largest cities in their respective countries, and both have a walled old city surrounded by a sprawl of newer developments of roughly the same size. This is where the similarities end. Jerusalem is not only of a much larger population than Nicosia, it is also no longer physically divided. Ethnic strife in the city is constant and often violent, with its Palestinians being discriminated against in every conceivable way by the state and city governments. Above all, Jerusalem contains within it several sites regarded as especially holy by both the peoples – and all faiths - sharing it; these sites are not only adjacent, they are often one and the same – rendering any physical re-division of the city very difficult. Nicosia, on the other hand, while old and rich in history, does not carry the burden of holiness; it is vibrant, bustling and often quite picturesque, but although having been divided for 40 years now it shares none of the past-experience of Jerusalem, of people longing and yearning to holy sites left beyond their reach. But if Nicosia taught me anything on my recent visit to it, it is that the demon of physical division is not as menacing as it seems. Indeed, an ugly scar cuts through the city, accompanied by ungainly sights of sandbags and dilapidated, deserted houses, barbed wire and cement walls. Yet the city is quiet, and booming (especially the Greek-Cypriot side), tourists abound, and crossing the border, since 2003, is free and straightforward almost for all. 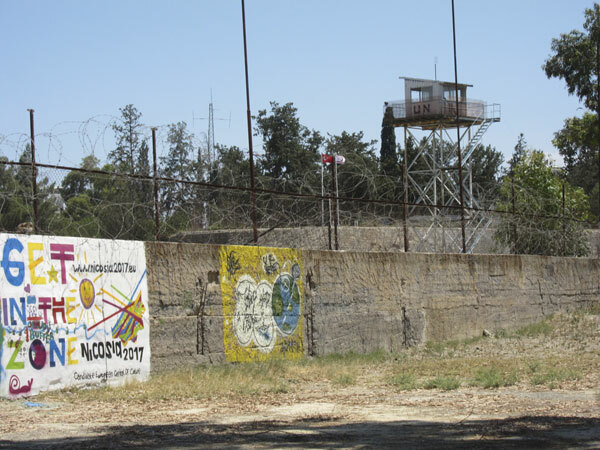 At one of the crossing points, in the heart of the UN-controlled buffer zone, there operates a "House for Cooperation", where Greek- and Turkish-Cypriots come together in a host of dialogue and coexistence programs. The entire city has one master plan, and a joint sewage system. Supranational and international investments (mostly through UN and EU funding) is preserving, while improving and upgrading, historical quarters on both sides of the border, to the delight and joy of residents and visitors alike. And all this exists despite the fact that no country on earth (Turkey excluded) lends official recognition to the Island's – and the city's – partition. If Jerusalem is divided one day, following a fully-recognized and internationally-endorsed decision, one can only imagine the potential for coexistence, economy and physical appearance. 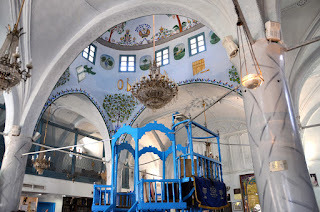 Again: deducing from the Nicosia case to the Jerusalem one is problematic, to say the least. Yet it does offer a glimmer of hope. Jerusalem is a city physically united but otherwise as divided as can be; it is tempting to contemplate a situation in which it becomes more like Nicosia: physically divided, but in all other aspects united, peaceful and thriving.